The Tyler Public Library is inviting all to explore the world’s largest collection of free family trees, genealogy records and resources on FamilySearch.org. 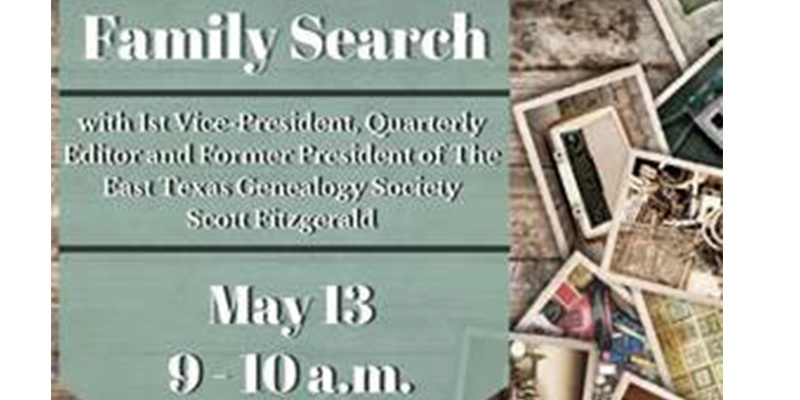 For those curious about their family history, presenter Scott Fitzgerald will host a presentation on Saturday, May 13 at 9 a.m., to learn about this great resource and how to trace family roots. Scott is the current 1st Vice-President and Quarterly Editor of East Texas Genealogical Society and has served as President for five years. He was made a Fellow of the Texas State Genealogical Society (TxSGS) for his contributions to TxSGS and Texas Genealogy. This class will be held on the third floor of the Library in the computer lab. 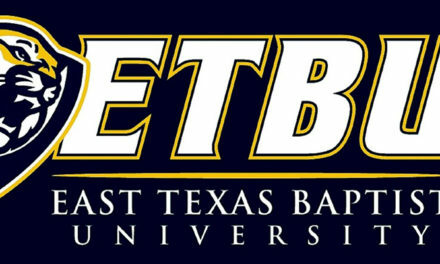 For more information about this or any Library program, please visit the Library at 201 S. College Ave. in Downtown Tyler, call (903) 593-7323 (READ) or go to www.TylerLibrary.com.